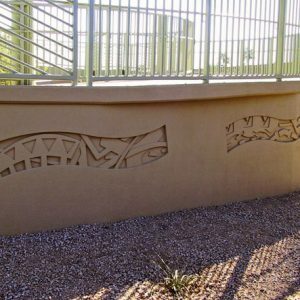 This project was commissioned by the City of Phoenix through the Phoenix Office of Art and Culture. 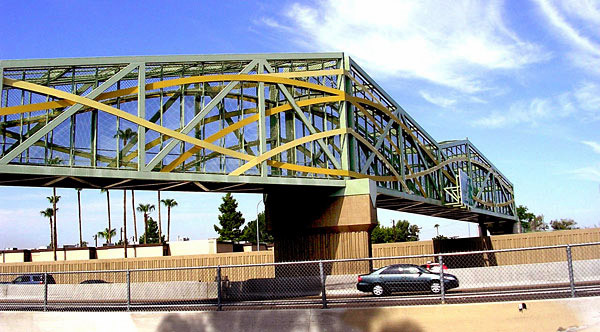 The artist collaborated with engineer Jerry Cannon of Cannon TranSystems for the design of the bridge superstructure, ramps, lighting and landscaping. 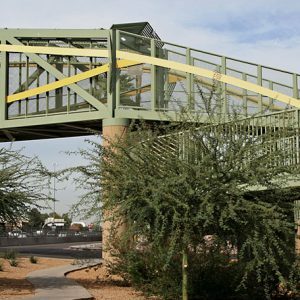 The bridge combines a large truss structure with non-structural weave plates that add organic fluidity and an inviting sense of motion. 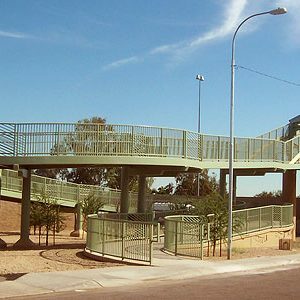 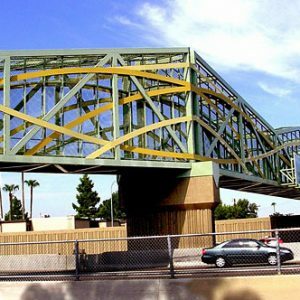 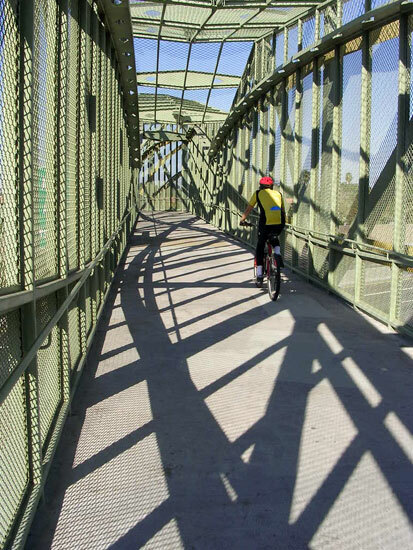 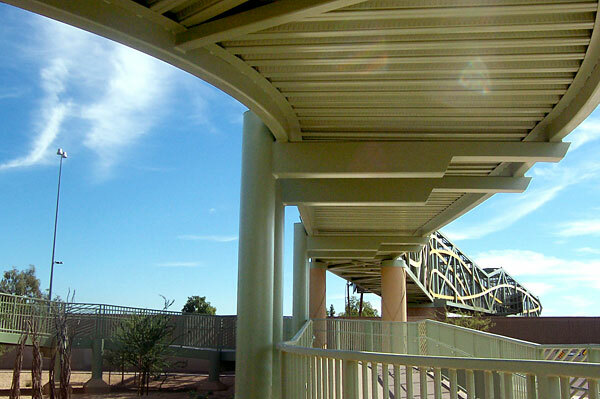 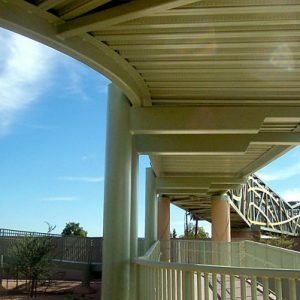 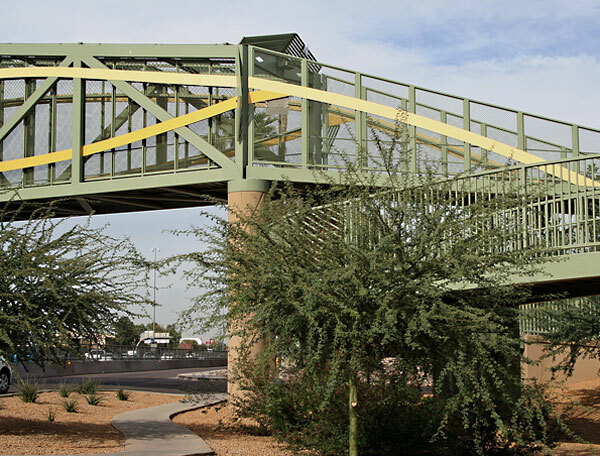 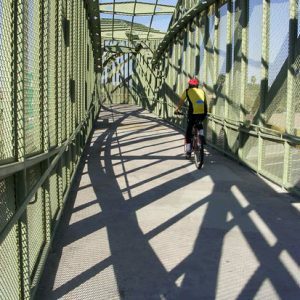 The bridge colors echo the desert trees that shade the entrance ramps on the neighborhood sides. 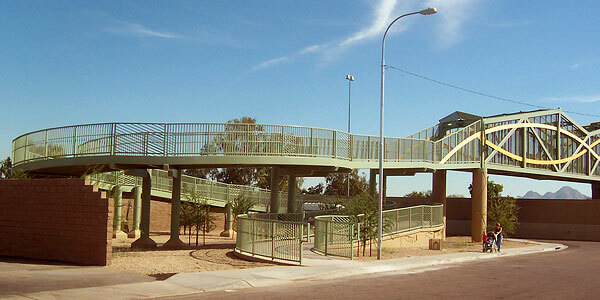 The project began in 2000 and was completed in 2006. 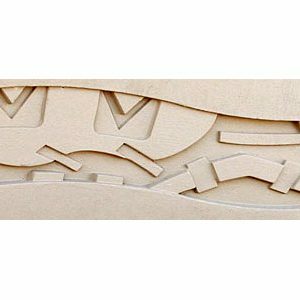 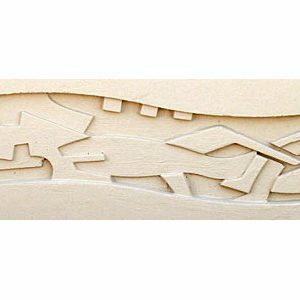 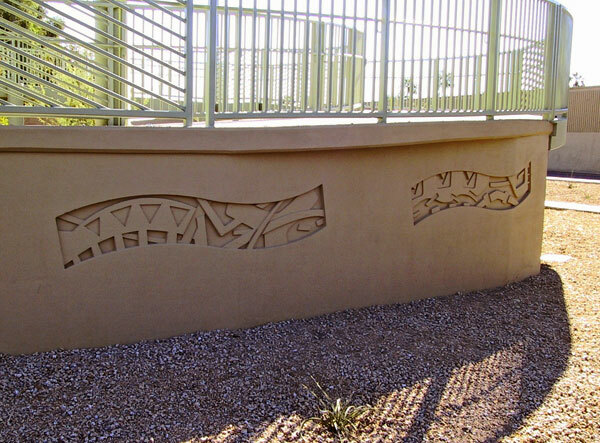 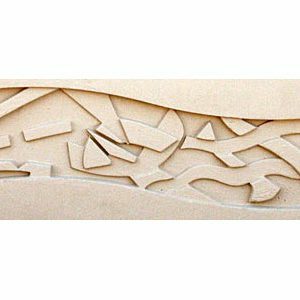 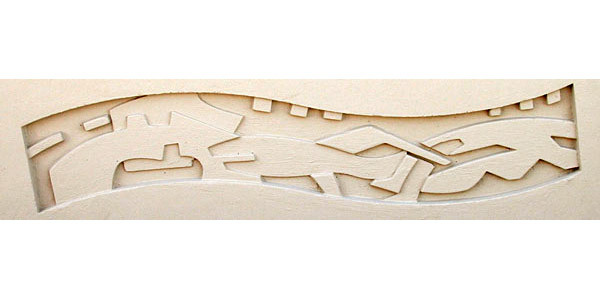 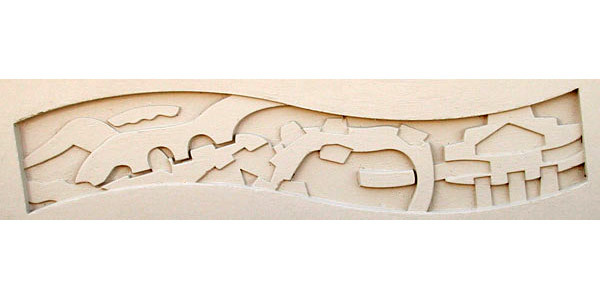 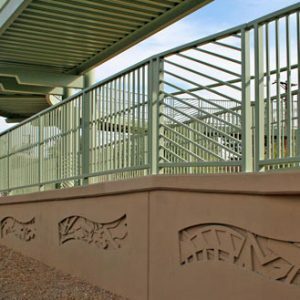 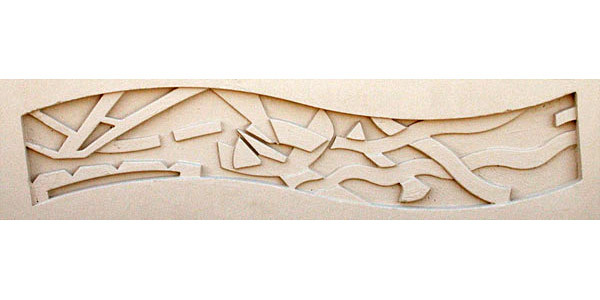 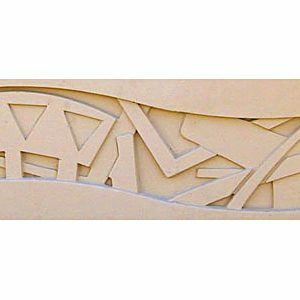 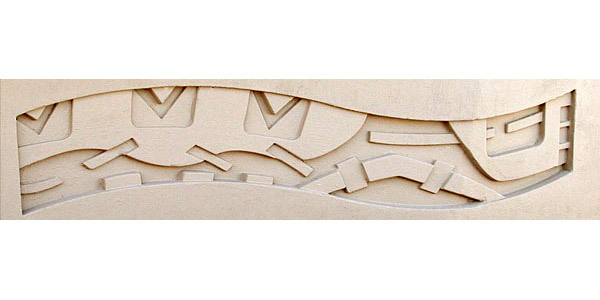 The relief designs found in the concrete walls supporting the bridge ramps are the result of collaboration between Ms. Bales and students at nearby Ocotillo Elementary and Maryland Elementary Schools. 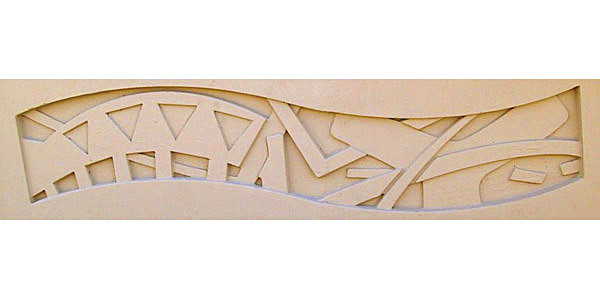 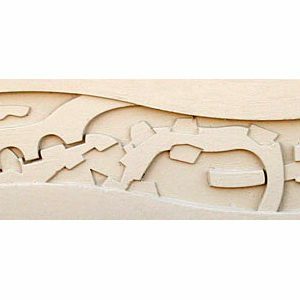 The relief designs were inspired by art works created by students in grades two through four during an artist residency. 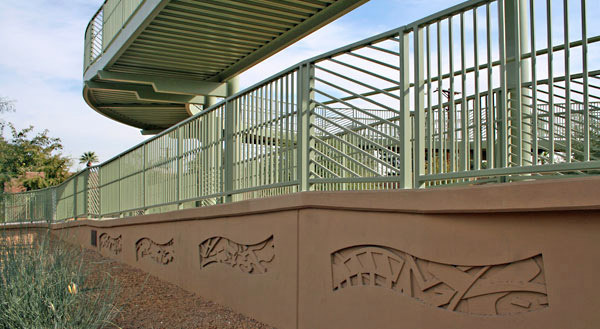 For more images see: Maryland Avenue Bridge Community Involvement.